If the sensor light does not change to a solid green light, try updating your console software. Green light still flashing? Please contact Xbox Support. See the Assistance section at the bottom of this page for more information. 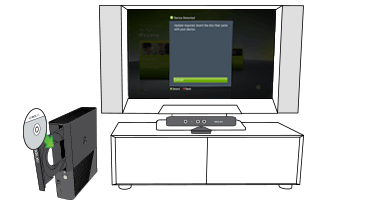 Note If you don’t have a Kinect game disc handy, see Update your console software for more update options. Would you like to contact Support regarding the "Flashing green light on Xbox 360 Kinect sensor" issue you were reading about or a different issue?